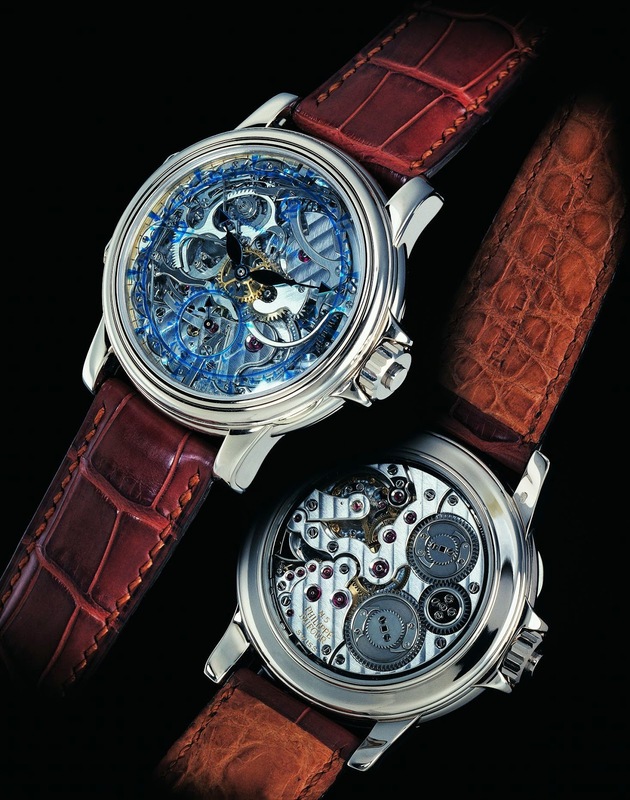 This superlative horology masterpiece is one of the most revered complication watches crafted in Switzerland. The legendary master watchmaker Philippe Dufour created this authentic masterpiece, unveiling the entire mechanism of this grand and small strike minute repeater. The bezel can even be lifted to admire the screws underneath adorned with hand-enamelled and hand-engraved indications. With a nod to modernity and clarity, the hands are of a different colour than the movement while the hour-circle, with its hour markers and Arabic numerals, has been applied directly to the crystal. The exclusive buckle has been fashioned, piece by piece, by the watchmaker himself.